I’m so glad you’re joining me today for another round of Sew Thankful ideas! I have 10 items to share with you! 1. 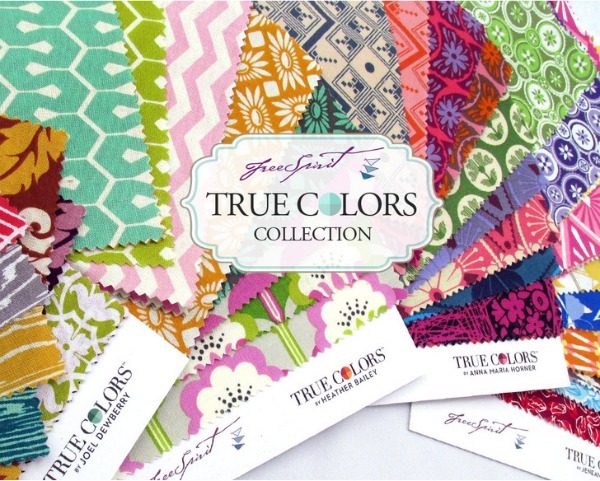 Have you heard of the new fabric line from Free Spirit called True Colors? It’s a mix of prints from four different designers to compliment any color palette. They’re having a blog hop to celebrate which includes tutorials and project ideas for using this modern line, plus giveaways! 2. 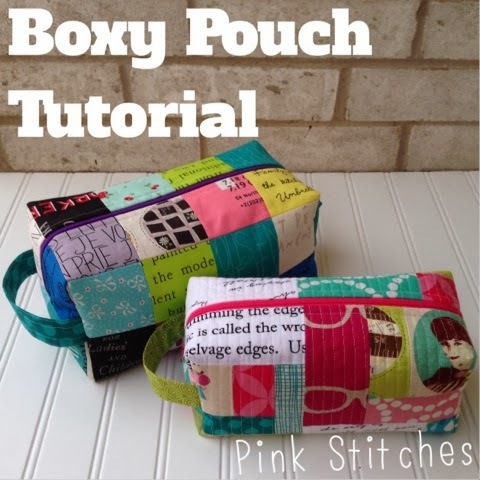 I love this Boxy Pouch Tutorial from Pink Stitches. I’ve always wanted to make one and this looks big enough to handle all my travel essentials! 3. One of my favorite “recipe blogs” is Our Best Bites. These two ladies, Kate and Sara, share recipes, party ideas and most recently…. I enjoyed reading about everything on that list! Plus they have the best recipes! 4. I love to use minky fabric in my sewing projects when possible, and the Craftsy Blog recently put together some great links for projects and tips for sewing with this ultra soft material. You can also see my own free Cuddle tutorial and tips for working with Cuddle (minky) here, that I did for Shannon Fabrics. 5. I love the look of spiral quilting and I’ve been wanting to try it out. 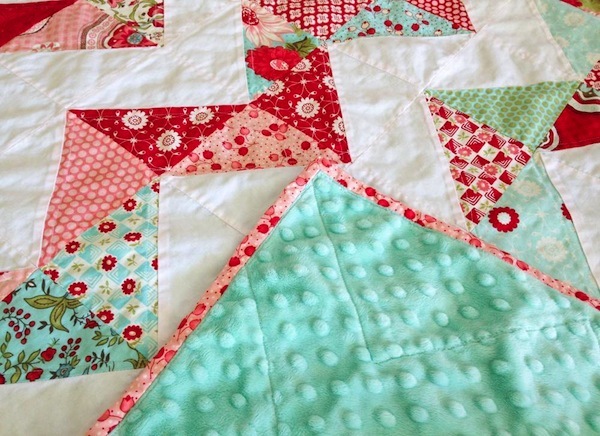 Now I can with the help of this great tutorial by Amanda Jean of Crazy Mom Quilts. 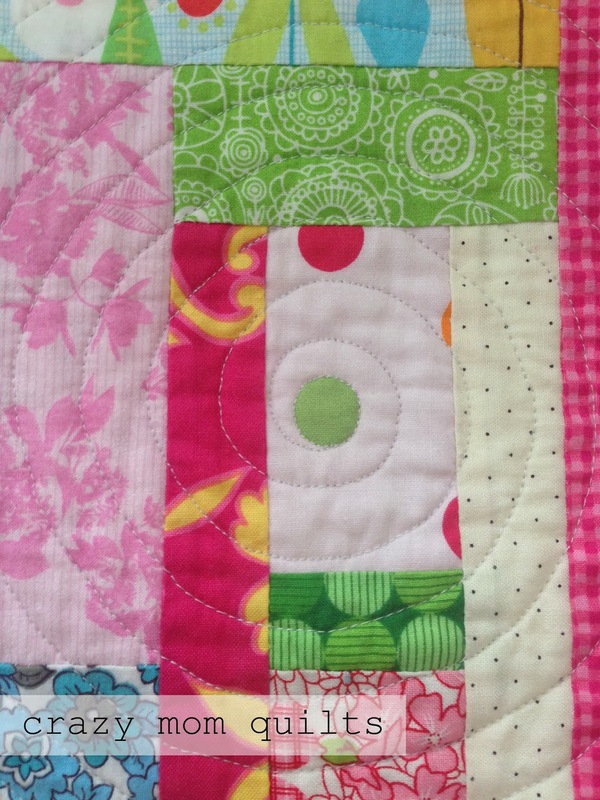 She gives you detailed instructions and tips for her recent spiral-quilted project. 6. 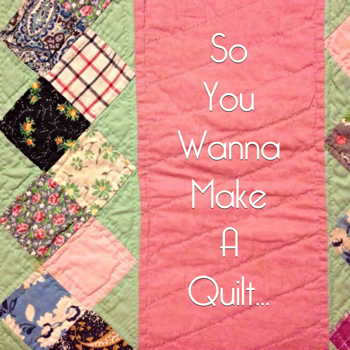 If you’re new to the quilt scene, you have to check out this new series, So You Wanna Make a Quilt, at The Sassy Quilter. Paula has a ton of great information and you’ll learn something new even if you’ve been doing this a while! So far she has covered quilting tools, fabric, and quilt patterns. 7. 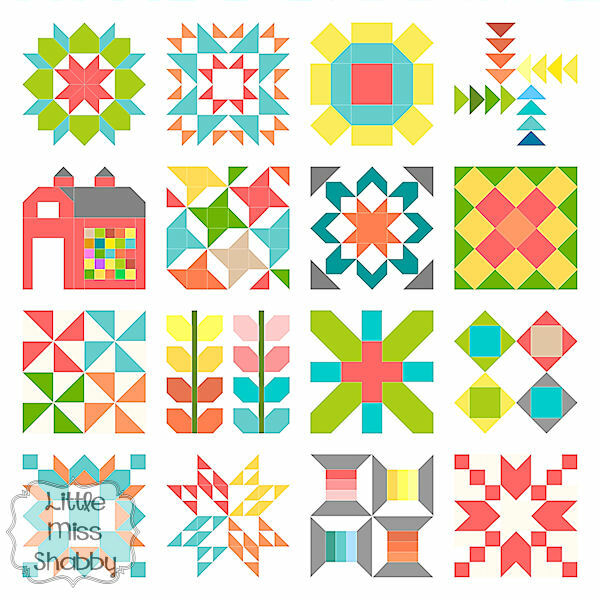 If you’re a fan of cross-stitch, you will love this Quilty Stitches Sampler Along at Little Miss Shabby. Corey will lead you through this cross stitch sampler of some of the most popular quilt blocks from the past and the present. I think it would be beautiful as a quilt too (especially since I don’t cross stitch). 8. 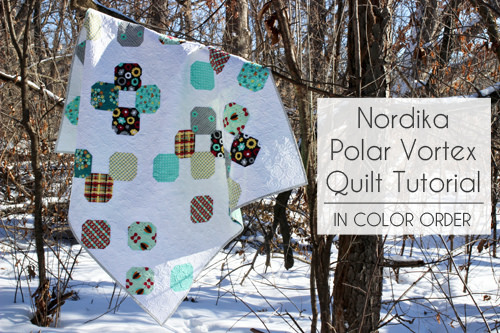 If you have a group of fat quarters waiting to be sewn together for a quilt, you might want to look at this Nordica Polar Vortex Quilt Tutorial from Jeni at In Color Order. Those are my kind of snow balls and I love the Nordica fabric! 9. I love finding new and exciting blogs, and I just discovered Karen at Karen’s Quilts, Crows and Cardinals. She recently shared a beautiful tutorial, Redbird and Berries, at The Moda Bakeshop and she is doing a needle turn hand applique series that is full of great images and just plain fantastic! 10. Since February is around the corner, I thought I would share this cute little Sweetheart Table Runner from Quilter’s Newsletter Magazine. This is one of their free online web extras. A special thank you to all of the blogs featured today and especially to you all for following along! what a lovely lot of delightful blogs to check out! such lovely colours. 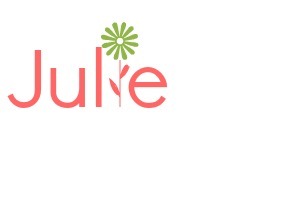 Just love this post Julie! I look forward to it every week. Your content is always interesting and I always find something new to go investigate. 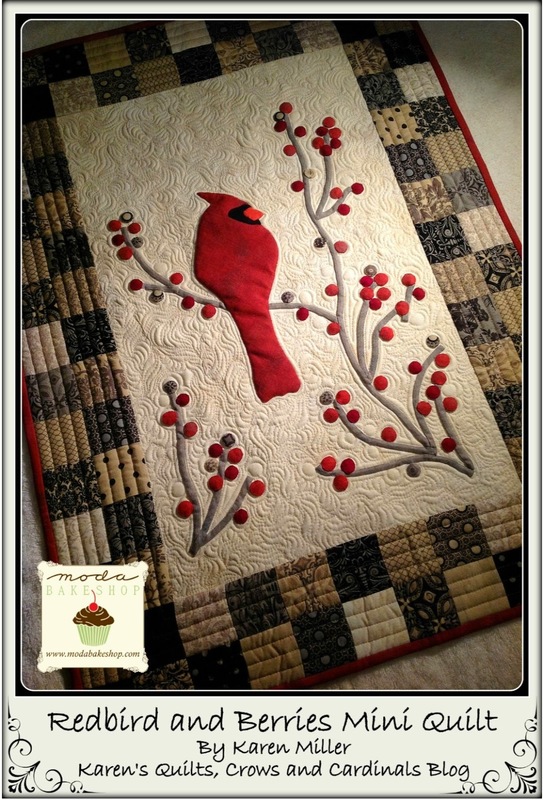 This week’s gem was definitely the “Redbird and Berries” quilt by Karen. Love it! Thanks for all you do! Hope you have a super week! Sew Thankful for your Sunday posts! Thank you Julie! Your Sew Thankful Sunday always makes my Sunday special! I look forward to this post eagerly and am so excited when I see it in my mailbox – and I have told my quilting friends to follow you, which they are now doing. You are awesome! I have just made two of the boxy pouches from the Pink Stitches Tutorial and they came out great. Very well done tutorial. Thank you for the many ideas. I hope to do the Redbird and Berries and the heart table runner. Julie — thank you so much for featuring Redbird and Berries in Sew Thankful Sunday and for leaving such a sweet comment on my blog. I’m new to your blog and so happy that you found me — giving me the opportunity to be inspired by your great work. Thanks again and have a wonderful day!